The Quinnipiac field hockey team finished its season with a 6-12 overall record and 3-4 in the Big East. While the team finished below .500 on the field, one of its bigger losses moving forward are the nine student-athletes that are graduating. This class is a notable one considering they won the MAAC co-championship for the second time in 2015. As well as playing well enough for their coach to earn coach of the year in 2015. 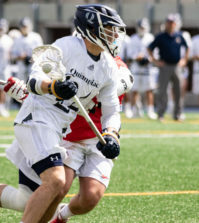 The Bobcats offense was dormant for most of the season as they averaged 1.67 goals per game and scored a total of 30 goals in 18 games. Their opponents scored 44 goals and averaged 2.44 goals per game. Their defense, however, was an instrumental part in their play, as sophomore goaltender Livy Golini had a 0.676 save percentage. a 2.42 goals against average and allowed a total of 44 goals this season. They were able to pick up some big wins, including beating Yale at home, Liberty in the QU Bobcat Invitational and then Temple at home. They were also the second Big East team to score against UConn in a loss 3-1. 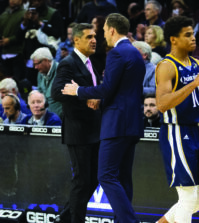 They had to deal with playing a handful of new teams, including the back-to-back national champions UConn Huskies on a regular basis. 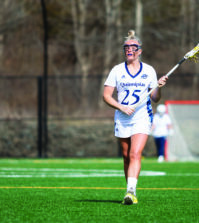 The Bobcats will have to rely on players they didn’t necessarily have to in the past, such as sophomore forward Amanda Blum, junior midfielder Eliza Ruiz Martinez and sophomore forward Ines Ruiz Martinez, to name a few. One of the nine seniors, defenseman Lauren Belskie started out as freshman who had to work to earn a starting spot. That included learning from those juniors and sophomores what the pace of play was like and how to improve her skills at the college level. This lead her to be tied for the Bobcats lead in goals scored in her senior season with seven. Another notable senior is midfielder Dayna Barlow who came a long way from Port Elizabeth, South Africa. Barlow was found herself in the starting lineup for all four years and earned enough trust over that time to be named a team captain. Barlow was tied for the lead in goals scored this season and helped other players in the same situation as her to adjust to life in a different country and playing a sport on the collegiate level. Head coach Becca Main was thrilled with the four years she got out of Barlow and feels she’s going to be the biggest hole to fill come next season. 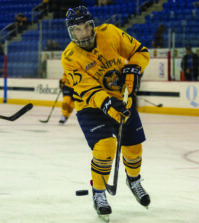 Main has been at Quinnipiac for 23 seasons and knows what it’s likes to lose seniors from the program. To lose nine seniors at once, however, is a new challenge that Main will have to endure for the upcoming season. Another player that was instrumental for the Bobcats this season was graduate student Montana Fleming. Fleming transferred over from the No 1. seed in the country UConn. 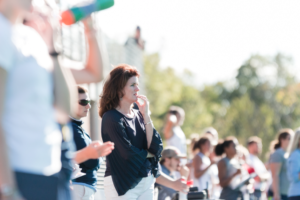 Once Fleming got comfortable with the system she was able to help the younger players from a leadership role. Main was enthusiastic on getting someone from a top tier program and is excited to have her as a new coach to the team. Next season the Bobcats will experience their third year in Big East play. But, they will have eight new freshman who have to get used to the university. Main believes the Bobcats will have to change their style to keep up with the pace of play in the conference. One last thing this senior class got to do was experience a brand new field hockey complex. Last season, they had to practice and play off-campus, which was tough for them because not as many people on campus were able to attend their games. With the new complex, more people were able to see how the team performed on the field and acted off the field. The seniors spent their four years managing a schedule between classes and athletics. As they transition into the real world, the seniors won’t forget what the university did for them.